Pre-School parents were invited to join their children this week in our first ‘Stay & Play’ session. 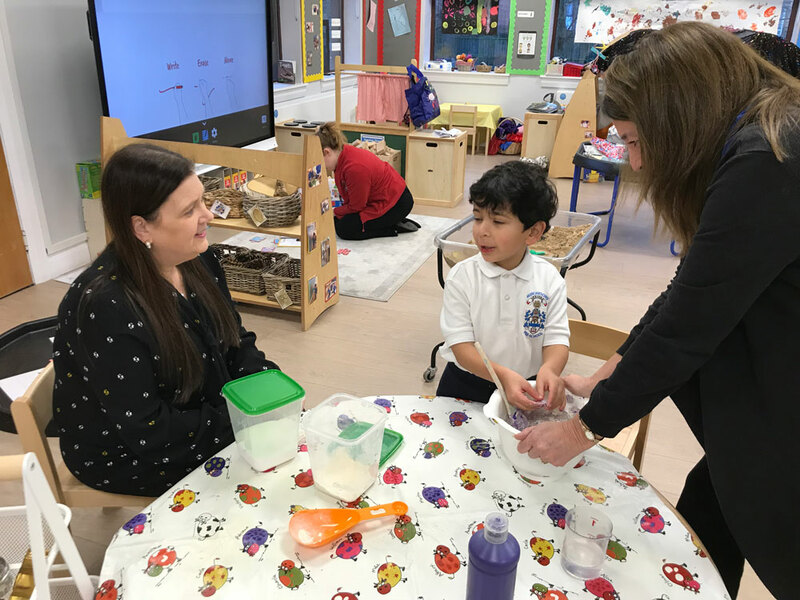 The focus for the session was on fine motor development and staff were on hand to chat to parents about all the pre-writing skills children need before they are ready to become writers. The children were delighted to show them all their favourite things to do and share their learning journey so far.